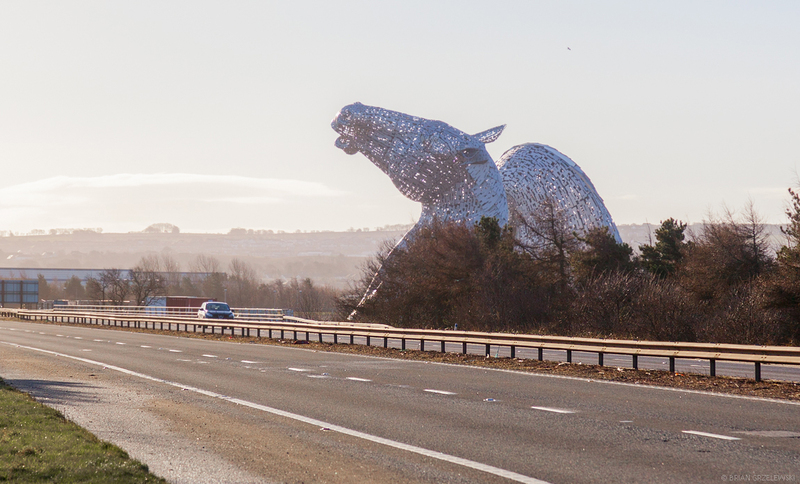 Driving down the road in Falkirk, Scotland looks like you’re approaching a chess game of the gods. Rising above the horizon are two horse heads that are as big as a 9 story building (30m). They are due to open to the public in April of 2014. 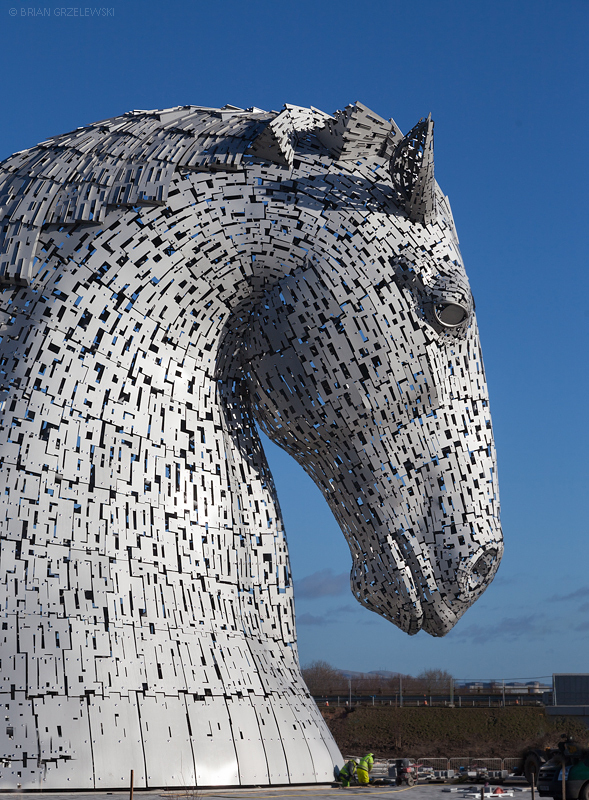 They are the creation Scotland’s own artist, Andy Scott. I hope to be there for the official opening. Those are really cool – can’t wait to see more of them from you! Thanks, Lauri. I do have one more shot. But, yeah, I hope to go to the official opening. Should be interesting.